52 Quilts in 52 Weeks: A BIG Friday Finish! Yes! I did it again! 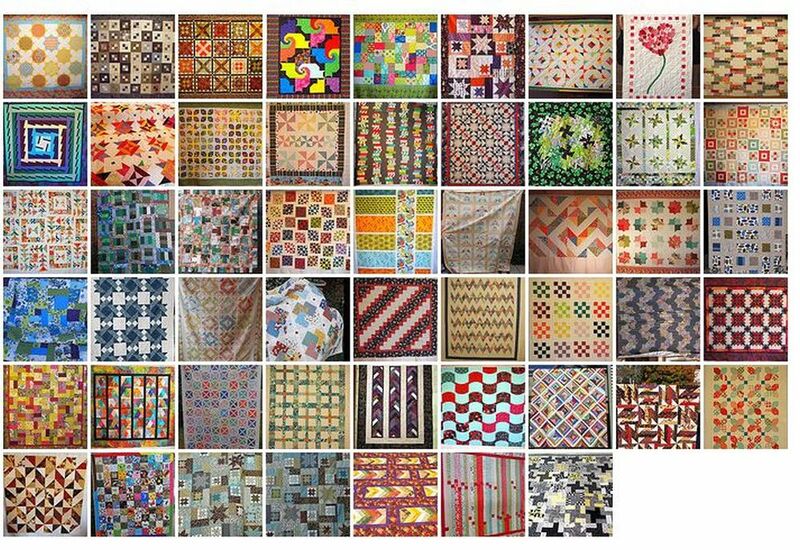 I pieced 52 quilts in 52 weeks in 2012! 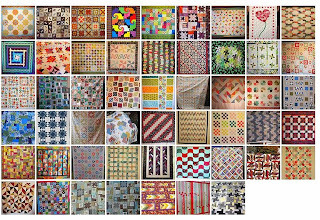 Now that I try to make a collage of all my 2012 quilts, I remember I gave up on this last year. And you can see the photos full-sized. Linking up to Thank Goodness It's Finished Friday at Quokka Quilts. And Finish it Up Friday at Crazy Mom Quilts. I'll contact My Little Sailor (aka my tech editor) to format a collage with embedded links! Have I ever told you how amazingly talented you are? I'm sure I have, but it's worth saying again. Nice Job, Aunt Marti! Oh my, you are very productive! Oh you must be so proud - congrats that is quite an amazing accomplishment especially since it's quality not just quantity. oh my goodness! What a wonderful bunch of quilts - and all pieced in 2012 - you are amazing! Wow, that's fantastic, Aunt Marti! Congratulations on such an awesome achievement! Thanks for linking up to TGIFF! Not like anybody doubted you, congratulations on meeting your goal! That is truly an outstanding accomplishment! You have created an amazing body of work! An amazing amount of work - I'm sure you'll reach that target again this year. Looking forward to the results of MLS. You did a tremendous amount of work. You should be proud of yourself! Wow, that is the most impressive year in review I have come across yet......and there are sure a lot of them out there this week ! I expected all simple designs in order to accomplish that number, but, wow, girl, you did some gorgeous and even complicated-looking stuff ! And I enjoyed looking at them more via the slideshow on Flickr, so no apologies for not posting them here.........ya hear? And may God bless you and your momentum this year too ! I knew you would do it! You are pillar of quilting awesomeness! Way to go! Well done Marti! I think I could probably piece 52 quilt tops in 52 weeks, but getting them quilted and finished I could not! That's where I fall down, and my projects begin their life as ufos. Well down! Love to see this again this year! Sorry. It's Well Done. My fingers don't listen to my heart. Wow, that is truly impressive!! Well done! Avis, I am sorry to not respond to your comment earlier. Did you know you comment as a "no-reply commenter," so your comments go straight to the spam folder. I am just now looking through it, but thank you for your kind comment. Ready, Set -- 13 in 2013 UFO Challenge!